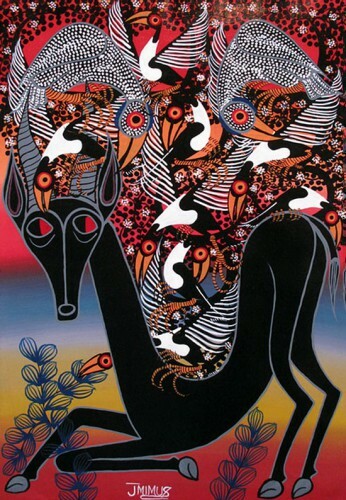 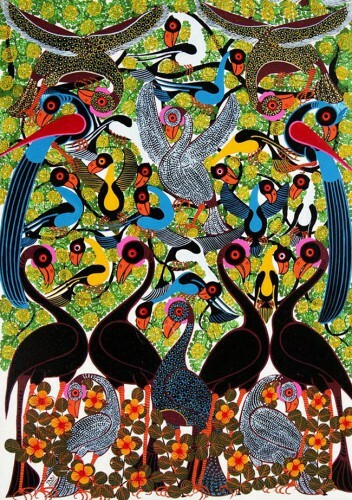 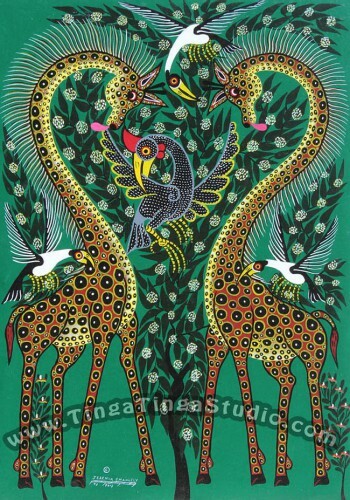 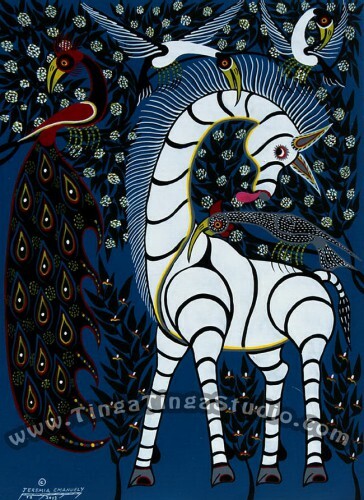 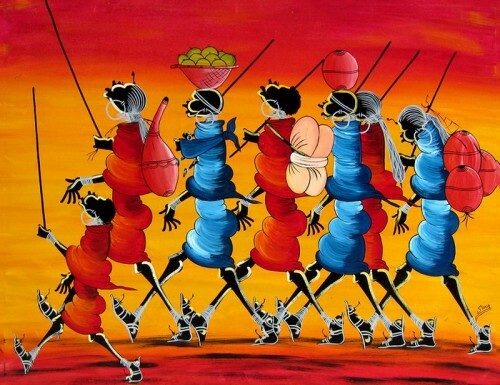 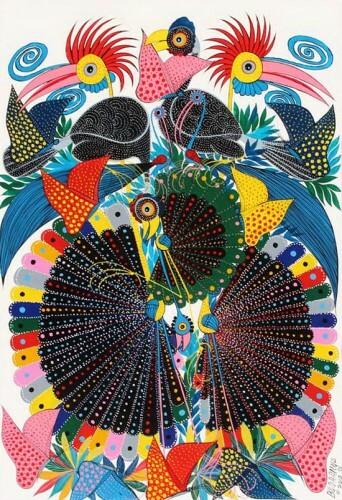 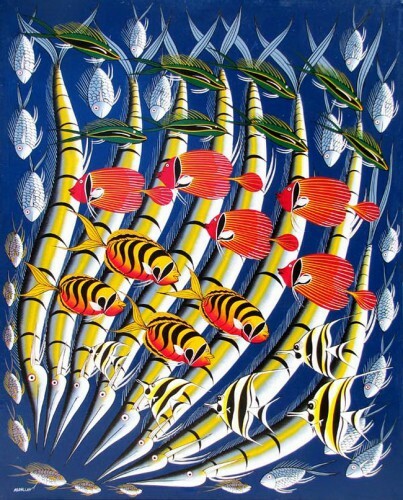 Tinga Tinga paintings appeared in Tanzania 60 years of the twentieth century, the name given by the name of the founder of the direction - Eduardo Saidi Tingatinga. 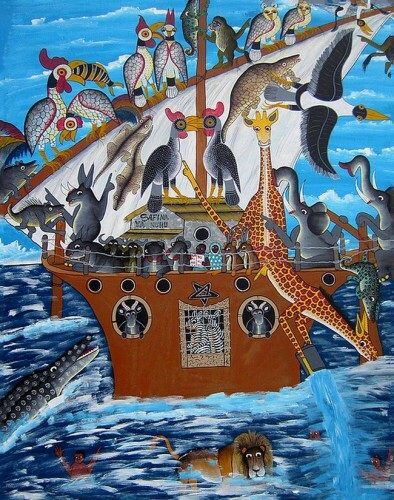 The first pictures were painted on cardboard, and before that - on the walls of houses. 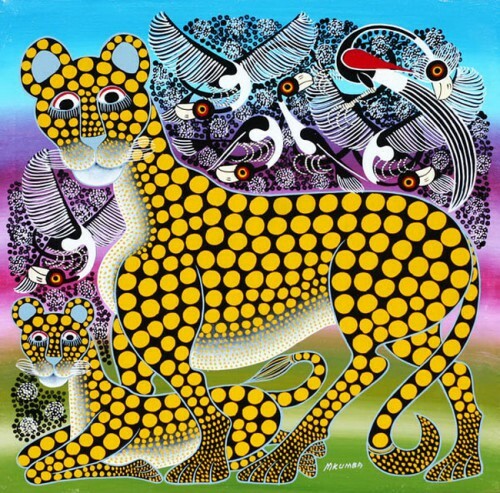 Initially, all the works were about the size of 60x60 cm, which led to the fact that some sources Tingatinga called "square painting." 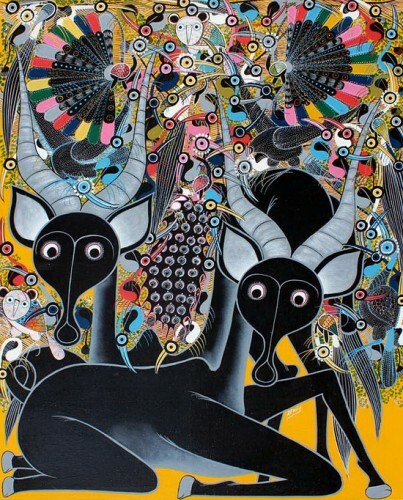 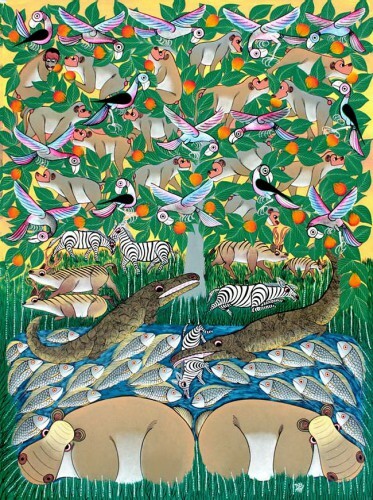 Daudi Tingatinga only son Eduardo just like his father, is engaged in the art of Thing Thing. 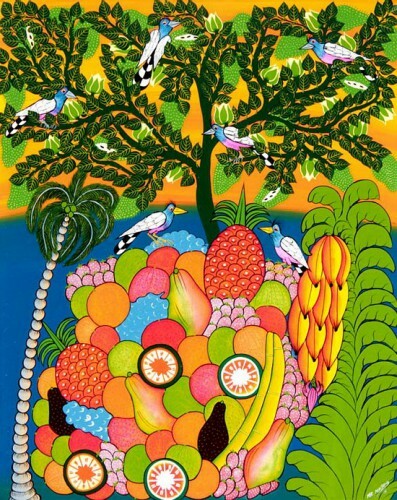 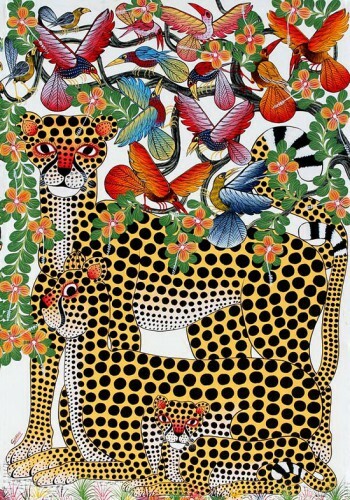 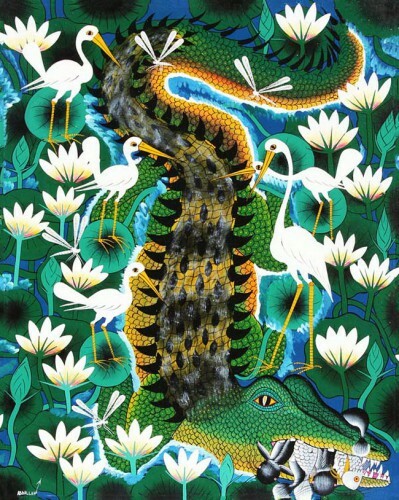 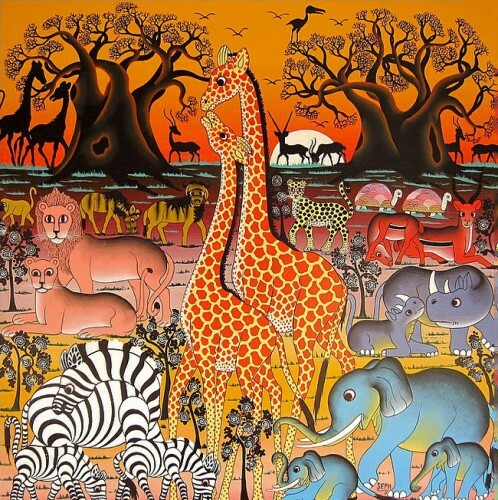 For artists, this painting an inexhaustible source of inspiration - all the flora and fauna of Africa. 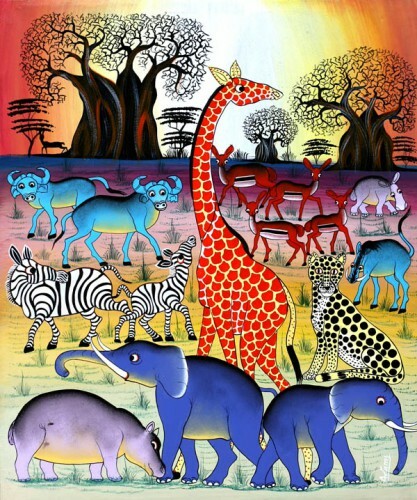 This antelope, hippos, buffaloes, giraffes, zebras, lions, monkeys, elephants and other animals, as well as flowers, trees, birds and fish, especially the unusual coloring. 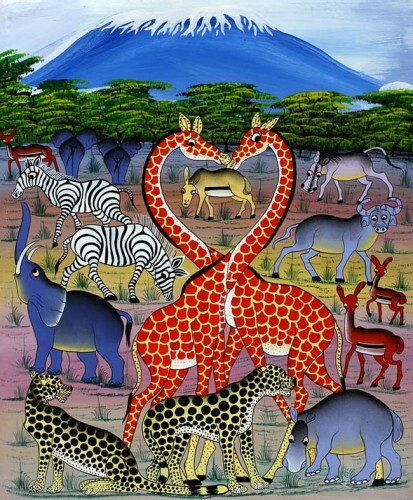 Very popular motif of Mount Kilimanjaro in the background - the greatest in Africa, top, in the north-eastern Tanzania. 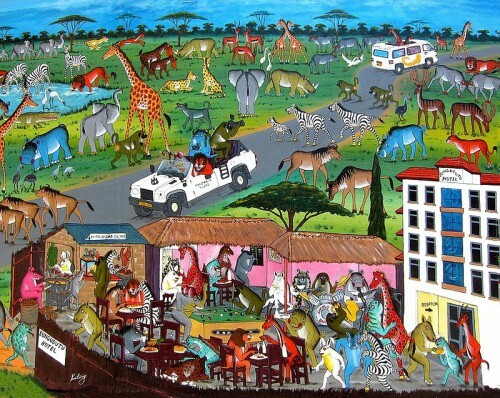 Painting Thing Thing transmits wildlife and culture of Africa and helps us to see the world as it is seen by children: joyful, colorful and bright.